Can someone please turn off my mind? 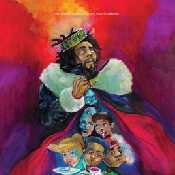 Laughter, which says, "I love this"
Or crying, which says, "This frightens me, I'm in pain"
Estamos Escuchando Intro de J. Cole con letra en este video de música online con en el video clip con estilo Hip Hop y editado en (2018) e incluido en el disco ''KOD''. El tema "ATM" es el mas escuchado del CD donde puedes ver su letra y las canciones Top "Can't Get Enough feat. Trey Songz" ,"Power Trip feat. Miguel" ,"In The Morning (feat. Drake)" ,"Work Out" ,.